Her little sister, is golden, the fine and dense foam. Rich and fruity aromas offer a good balance between malt and yeast. It is soft on the palate with a bitter sweet, just persistent. This was birthday gift from my friend Jim. I have never had a French Biere before so I am really looking forward to trying this. So let’s see what this French Blonde has in store for us. 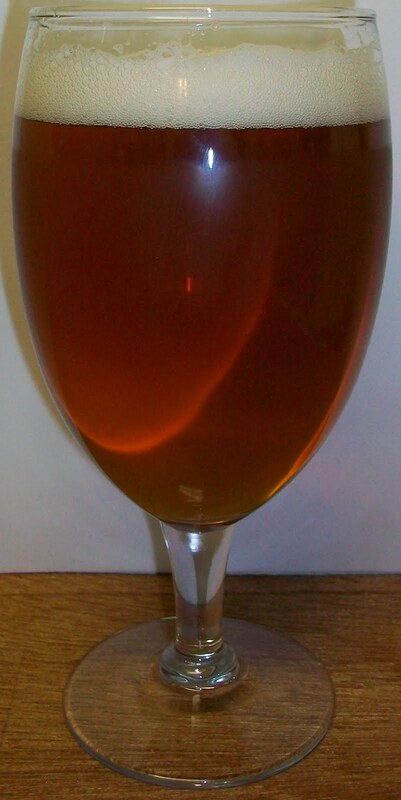 The beer pours a clear golden yellow with copper hues and a bright white head. The nose is delightful with sweet caramel malt aromas, a tough of floral hops and sweet background that seems like alcohol but this is only 7.5 percent. At any rate there is a nice sweetness on the nose that I can’t quite but my finger on. Wow, that was an interesting first sip. This is really close to a Belgian Abbey Blonde. I don’t know why but I was expecting some thing much different. 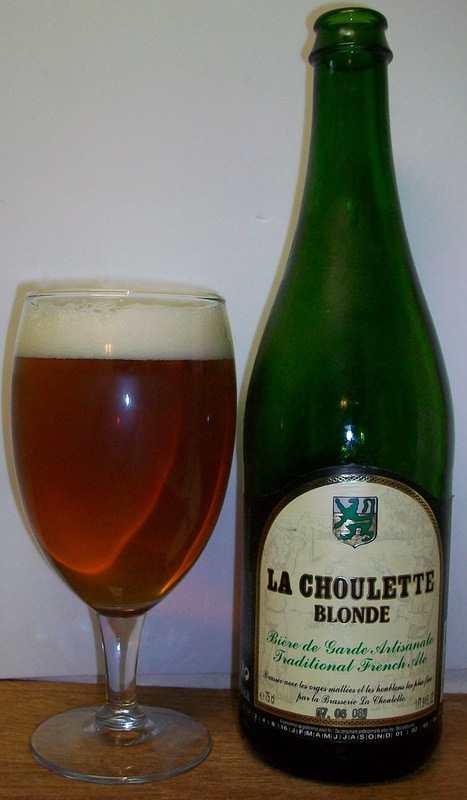 It really makes sense that a French Blonde would be close to a Belgian Abbey Blonde. The taste starts out with sweet caramel type malts up front on the tip of the tongue. Then there is the most pleasant almost creamy mouthfeel over the tongue during the middle of the sip. There is a slight hesitation at the top of the swallow. At this point it seems like a big beer not something that is only at 7.5 %. The finish is great with rich but very sweet caramel malt flavors and just a hint of floral hops. The final aftertaste is of sweet light malts on yeast. This is really drinking like a Belgian Strong Pale. Again I don’t know why that is surprising. The thing that is really surprising is the rich malt flavors and the smooth creamy mouthfeel on this Blonde Ale. Once again this is more like a strong pale not a blonde. The head has diminished to a thin protective layer over the top of the beer with a ring around the edges. It is also leaving some pretty impressive lacing. This was a very enjoyable experience. I’m going for an A on this beer. The rich flavors were extremely impressive for a Blonde Ale.